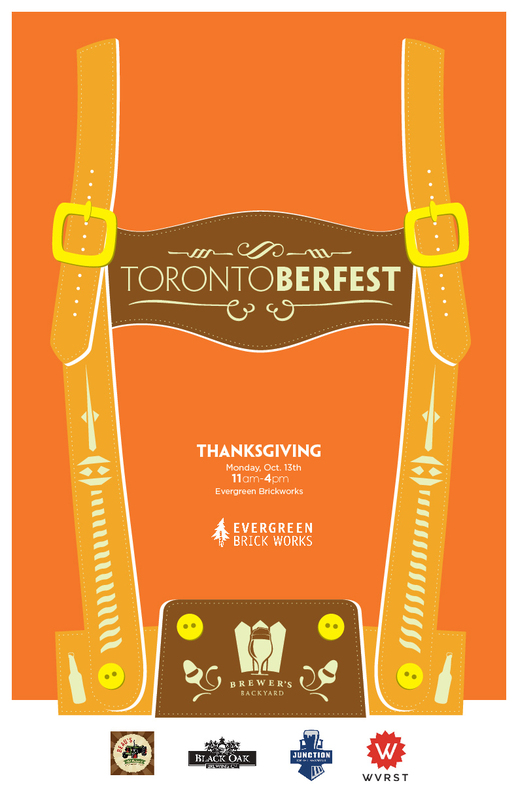 As is our usual tradition, we’ve done up a poster to commemorate our next event, Torontoberfest at the Evergreen Brick Works coming up on Thankgiving, Monday, October 13th. Torontoberfest will feature beers from Beau’s All-Natural Brewing, Black Oak Brewing and Junction Craft Brewery, and sausages from WVRST. We’ll be serving from 11am – 4pm on Thanksgiving Monday, October 13th at the Koerner Gardens and Holcim Gallery areas of the Evergreen Brick Works. Admission is free and the event is family-friendly. We hope to see you there!